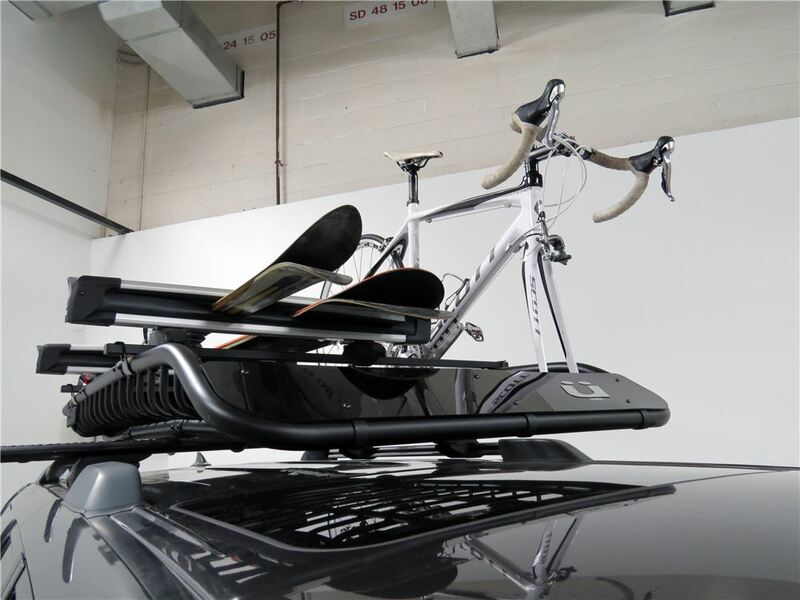 This stylish cargo basket lets you transport gear and 2 bikes on your roof rack. Includes 2 built-in fork blocks for bikes, a custom fairing to reduce wind noise, and locking mounts. Removable section reduces length by 21" for smaller loads. 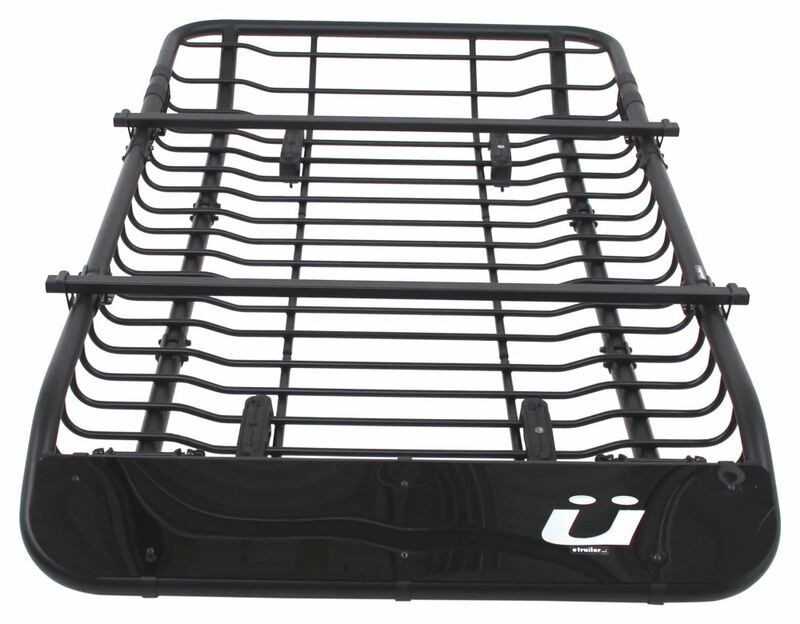 Lowest Prices for the best roof basket from Kuat. 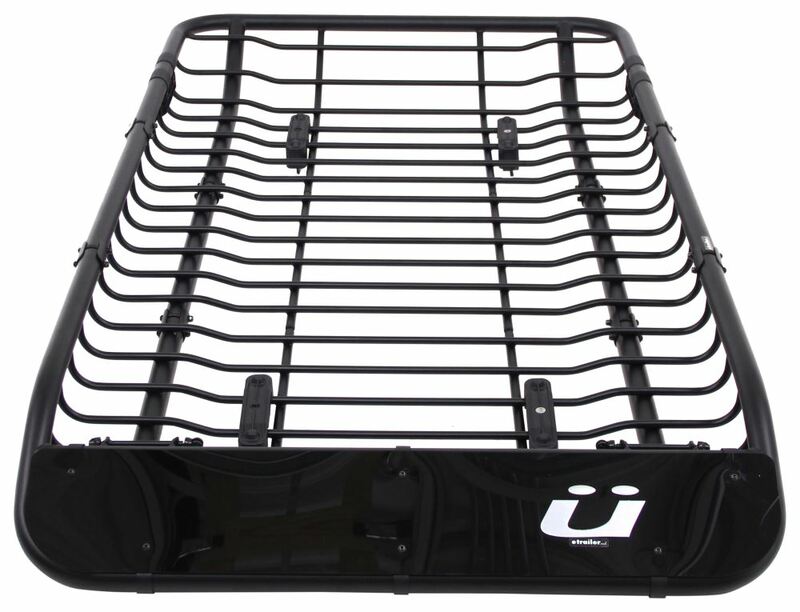 Kuat Vagabond X Roof Cargo Basket and 2 Bike Carrier - Steel - 73" x 41" - 160 lbs part number VX201-VX202 can be ordered online at etrailer.com or call 800-298-8924 for expert service. Removable extension reduces length of basket by 21"
Without extension: 15" - 25"
With extension: 15" - 46"
The Kuat Vagabond X combines ultimate functionality with striking good looks to form a unique and stylish way to transport your gear. 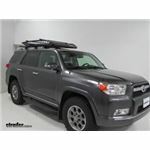 This rooftop cargo carrier features real brushed silver logos on the front and sides that - left unpolished - will collect a patina over time and actually look better with age. 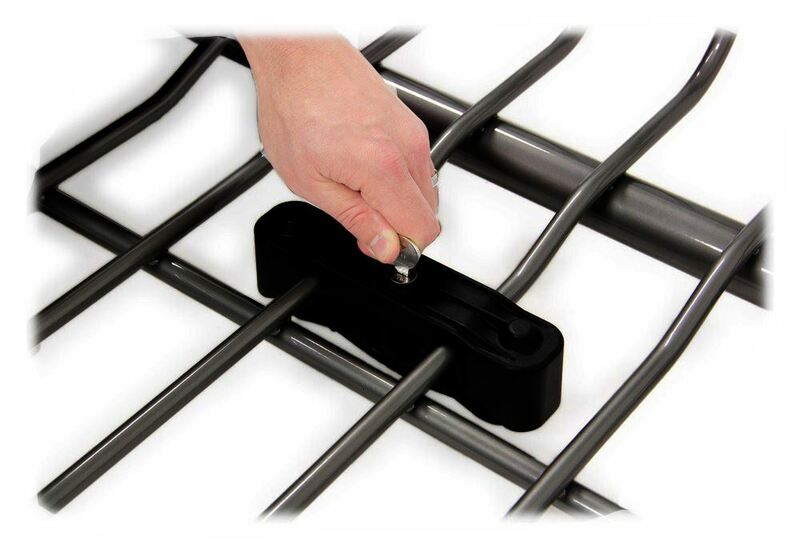 Add a gray powder coat over solid steel tubing and you've got a basket that's built to last. The Vagabond X has built-in fork mounts for transporting 2 bikes. 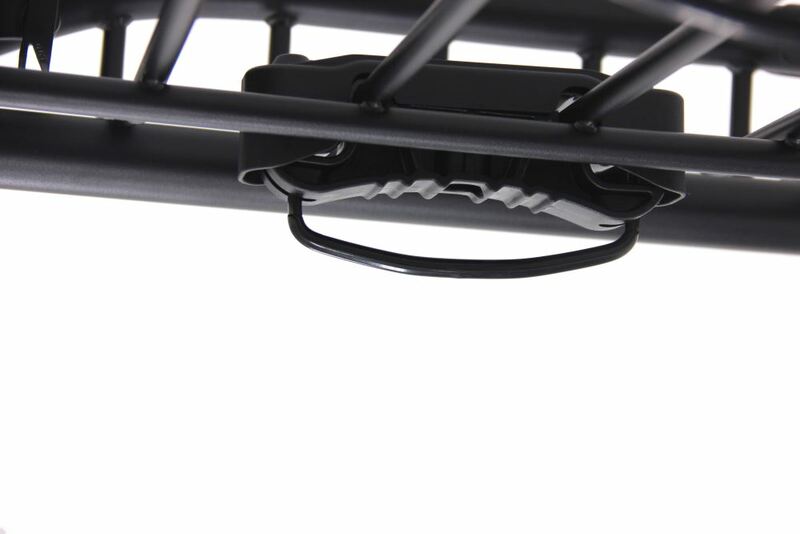 The fork mounts have 9-mm-diameter, stainless steel skewers to secure your bikes in place. These fork mounts work only with bikes that have quick-release skewers on the front wheels. And they will accommodate bikes with standard or disc brakes. 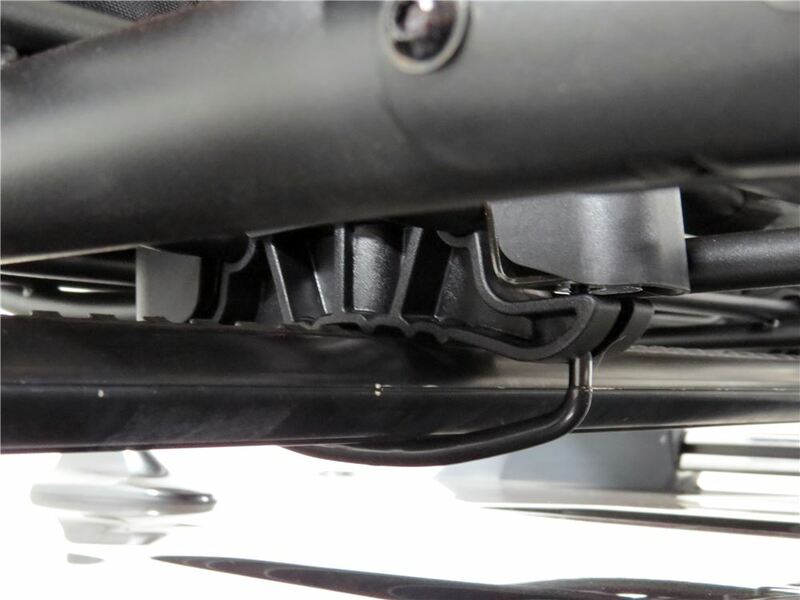 The cargo basket includes a custom fairing that reduces drag and wind noise. The fairing features a stylish brushed silver Kuat logo that's sure to grab attention. 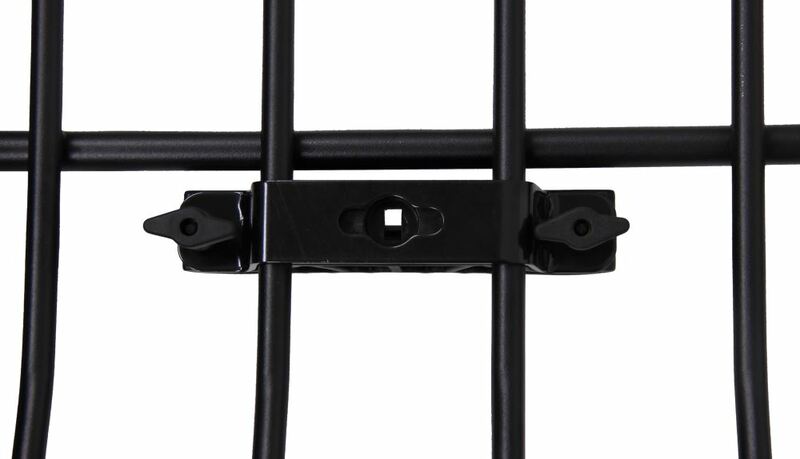 And it's easy to connect to the basket with the included clamps and screws. The Vagabond X has an undercut rear that provides plenty of clearance for your vehicle's trunk door or hatch. 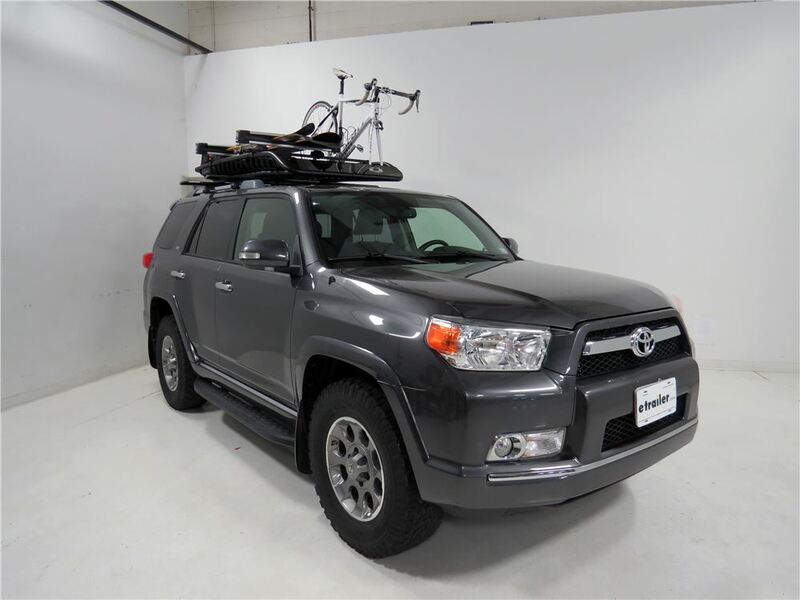 This means that you don't have to go through the aggravation of removing the basket just to access gear in your rear cargo area. 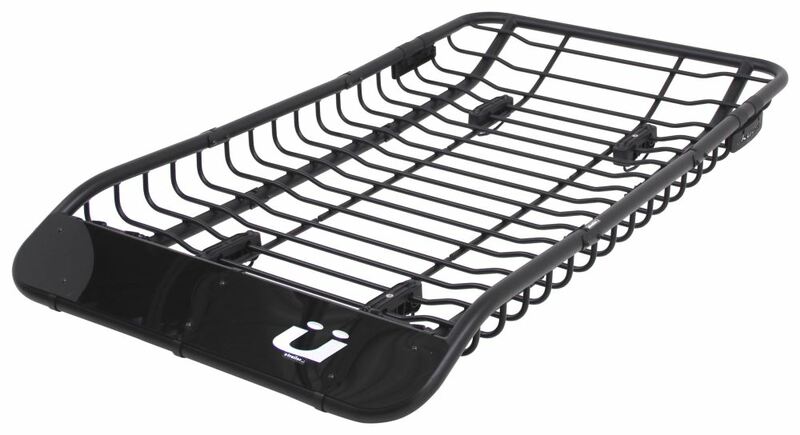 This cargo basket is designed to work with just about every crossbar on the planet. 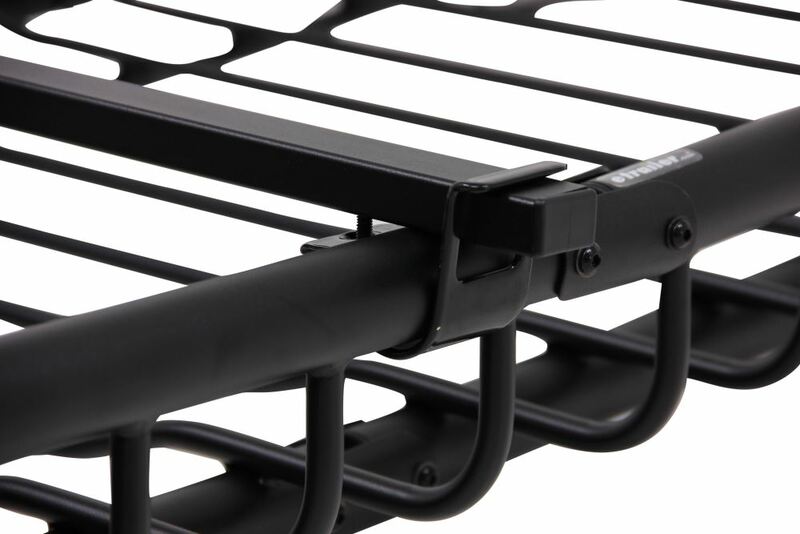 The U-bolts and hand knobs secure the basket to your roof rack, and 2 of the 4 mounting assemblies include locking covers. 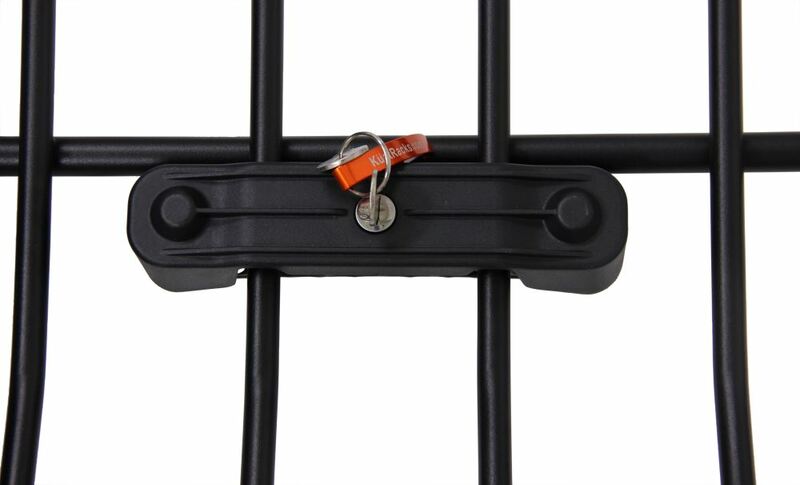 These covers prevent would-be thieves from accessing the mounting hardware and removing the basket from your crossbars. And these locking covers use the same key as the cable lock, so you don't have to keep track of multiple keys. This basket comes with an extension that allows you to customize the length depending on your needs. 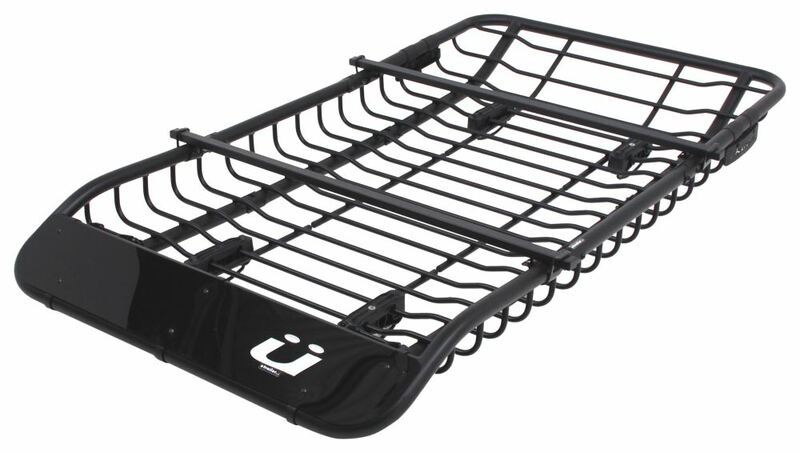 It includes 2 heavy-duty steel, square load bars that let you mount bike, snow sport, or watersport carriers and accessories to the basket. 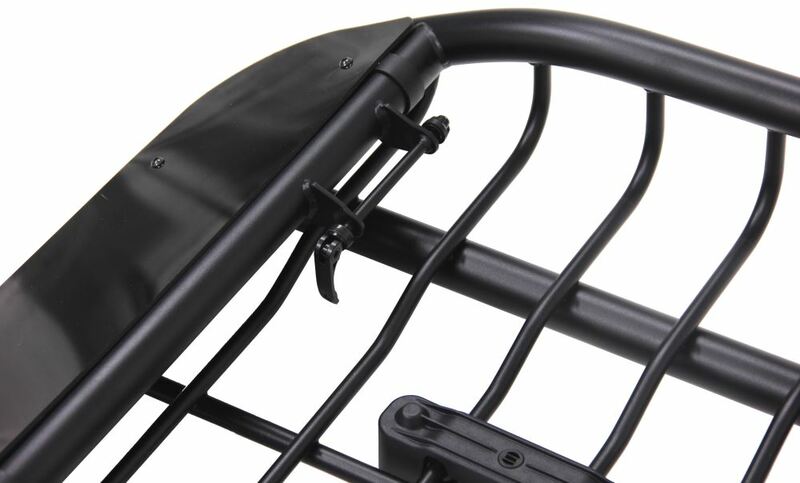 You can adjust both load bars along the entire length of the basket to accommodate different-size gear. You can connect all 3 pieces together to create a long basket to carry kayak paddles and other long cargo. 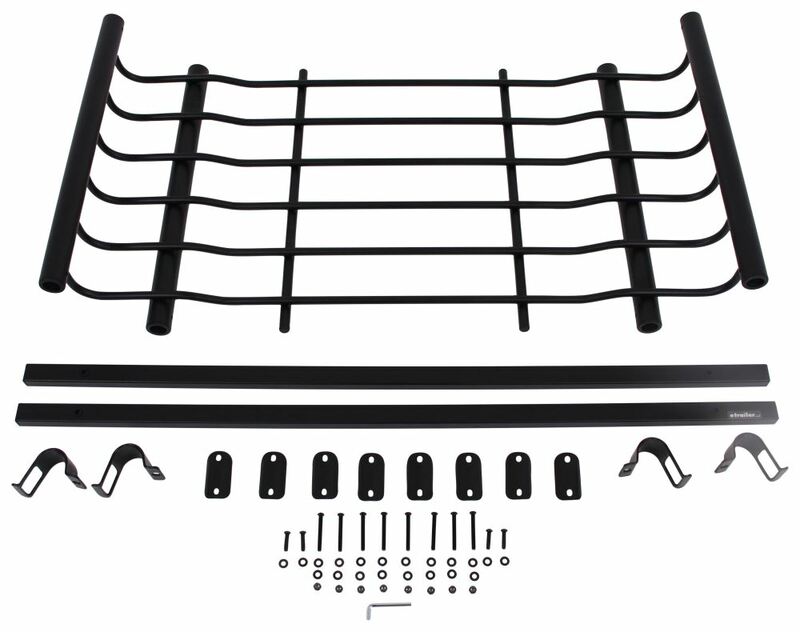 To install the extension, use the included Allen wrench to loosen the 4 connector plates and remove the front of the basket. Slide the ends of the extension into the front and rear tubes of the basket and re-tighten the screws on the connector plates. 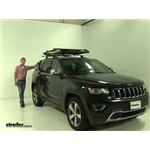 Or simply connect the front and rear pieces together and leave out the 21" extension to create a standard size basket for bags, camping gear, and other compact cargo. This is our test course. Let's start with the slalom. This shows side to side action such as turning corners or evasive maneuvering. Then onto our alternating speed bumps. This shows twisting action such as hitting curbs, potholes, road debris, or uneven pavement. Last of all, the solid speed bumps. This shows up and down action such as driving through a parking lot or parking garage, or driving in and out of a driveway. 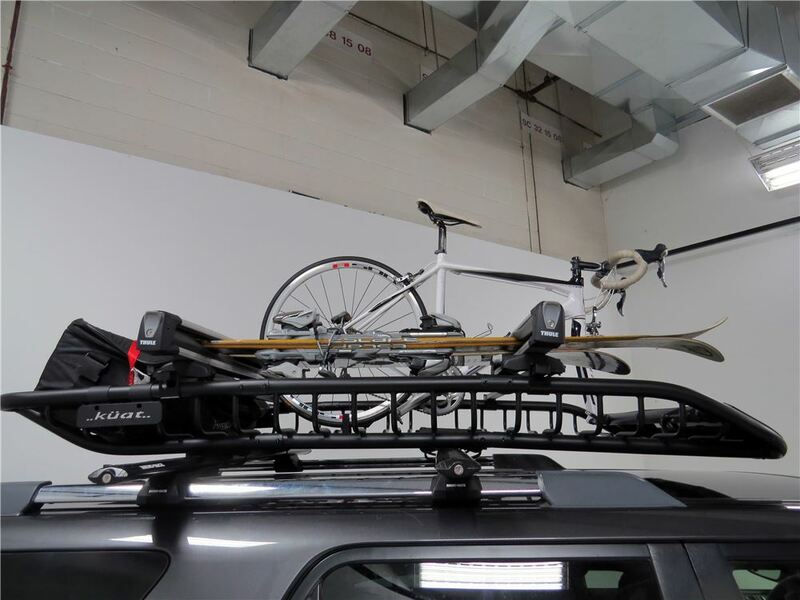 Order: RelevanceNewestRating - High to LowRating - Low to High This stylish cargo basket lets you transport gear and 2 bikes on your roof rack. Includes 2 built-in fork blocks for bikes, a custom fairing to reduce wind noise, and locking mounts. Removable section reduces length by 21" for smaller loads. 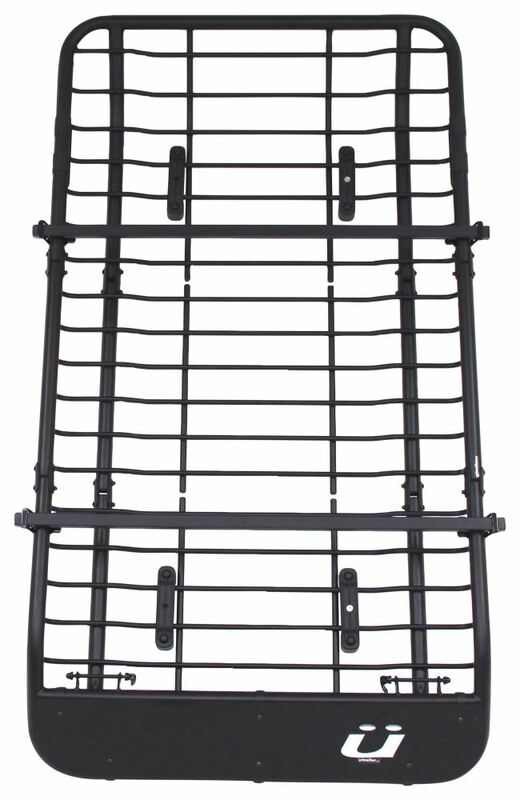 You do not have to use the crossbars that come with the Kuat Vagabond X Roof Cargo Basket # VX201-VX202. 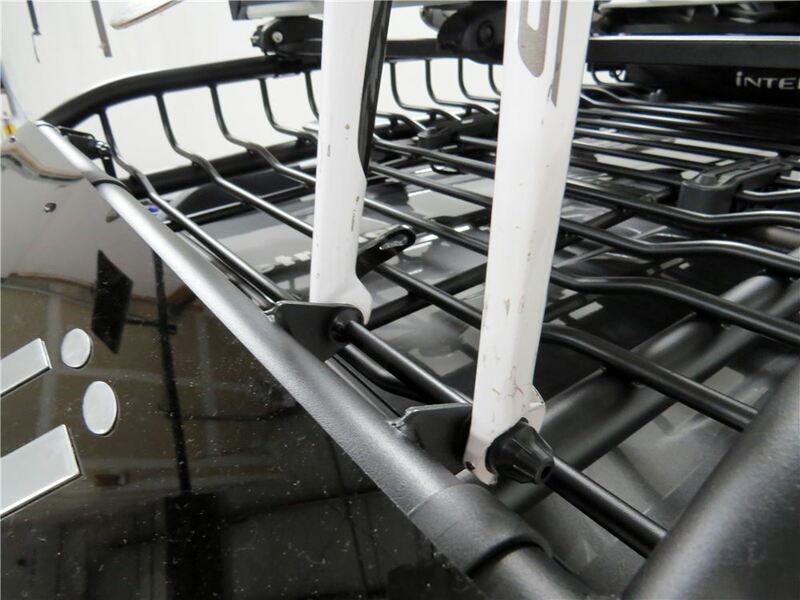 The bike rack portion of the basket attaches to the main bar of the basket and you do not have to run the rear bar with the bike rack either. The Kuat Vagabond X, part # VX201-VX202, isn't actually designed to carry a kayak on top of it so there's certainly no additional equipment needed. 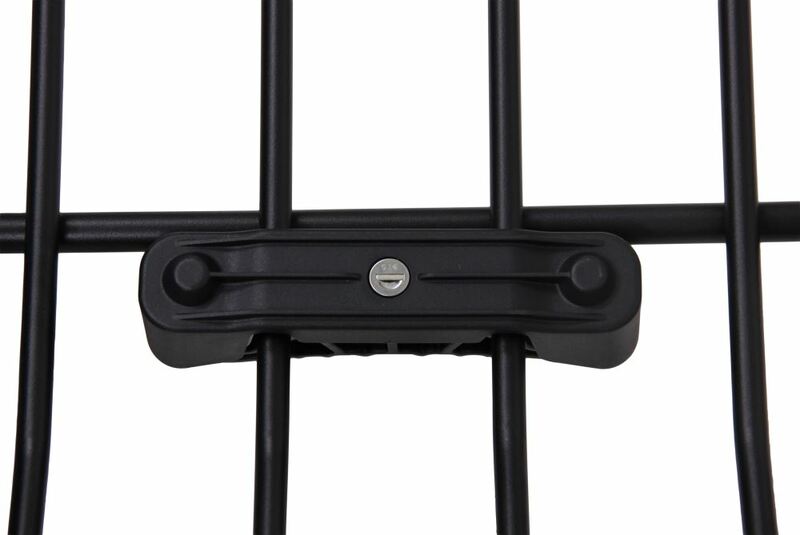 Instead of carrying a kayak on the Vagabond X I recommend using the Kuat Mini Skinny, part # MSR1B-EXB, as a basket and bike carrier. Then adding an actual kayak carrier like the Yakima JayLow, part # Y04073, to carry the kayak. The JayLow includes the tie-downs needed. 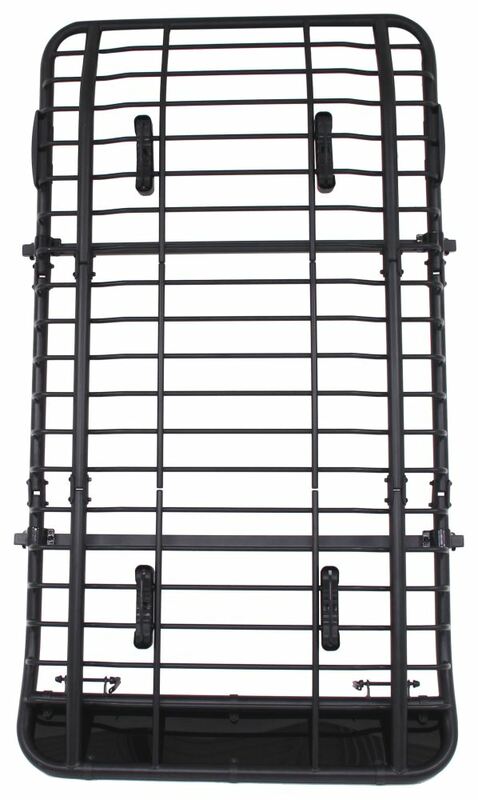 The basket on # VX201-VX202 has two load bars. That way you can feel free to mount your crossbar accessories to your basket. Also, there are two 9mm quick-release skewers, with the purpose of holding your bikes in place. At the rear, the bike tire rests on the crossbar. It is like a wheel stop. In order to keep the bike from bouncing up and down, just attach the included rear wheel strap. The strap will allow you to buckle it and pull it for a nice and tight fit. 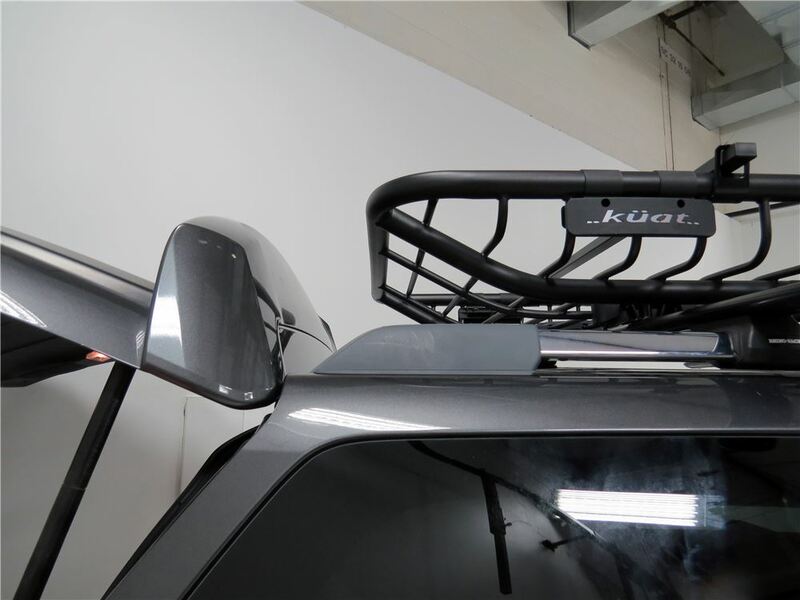 As long as the crossbars of your 2006 Toyota 4Runner are between 15 inches and 46 inches apart measured on center the Kuat Vagabond X roof cargo basket part # VX201-VX202 is going to fit and work well.